It’s Women’s History Month, and in the Science Twitterverse, that means it’s a time for collages, lists, and black-and-white photos of famous women from science history. Universities, non-profits, and journalists all love to honor the month by highlighting women’s contribution’s to science. This year it feels especially poignant due to the recent passing of Vera Rubin and Mildred Dresselhaus, both of whom were on shortlists for “Most Likely to Break the 54-Year Streak of Women Not Winning the Nobel Prize for Physics.” However, most #WomeninSTEM tributes largely leave out a key group of people: the women of color who have contributed to STEM. Some tributes–like the two below–do a decent job of including key women from underrepresented minorities in STEM history. So since this blog is intended to be a resource for science writers and communicators, here are a few scientists of color–who happen to be women–to consider including on future “Great Figures in Science History” lists. I’m specifically focusing on WoC in science history, partly because science history listicles tend to have an even stronger racial skew than lists of current scientists (and partly because of limited blogging time). I’m planning on writing this as a multi-part series throughout Women’s History Month, so if there are scientists you’d like to see in the next installment, email me or leave a comment, and I can add them. 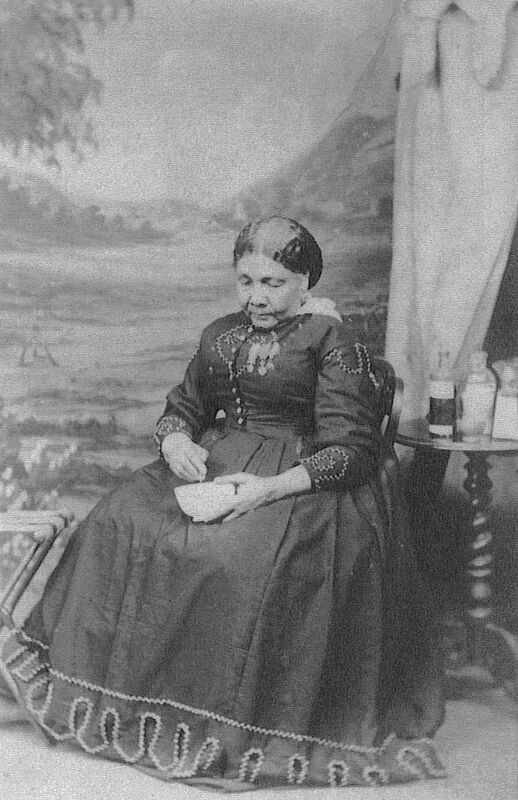 Mary Seacole: (1805-1881) A Jamaican-born nurse who set up a field hospital on her own dime during the Crimean War. Though her father was a Scottish soldier, she learned about herbal remedies and nursing from her Jamaican mother. Later, she traveled the world, picking up bits and pieces of medical knowledge along the way. In the 1850s, she nursed patients during the brutal cholera epidemic in Panama. When the Crimean War broke out, she asked the British government to send her to the frontlines with a group of nurses. The British government denied this request, but nevertheless she persisted. Seacole financed her own trip and built a hotel near a British supply line in Crimea. Her hotel served as lodging for wounded British soldiers, but she also attended to soldiers on the battlefield. By the end of the war, she had nearly bankrupted herself caring for soldiers. However, the troops were so grateful to her, that they set up the 1850s equivalent of a crowdfunding campaign to support her later in life. Rebecca Lee Crumpler: (1831-1895) First African-American Woman to Earn an M.D. Rebecca Davis was born in Deleware, raised in Pennsylvania, and attended a prestigious private school in Newton, Massachusetts before becoming a nurse in 1852. After gaining 8 years of experience working with patients, she applied to the New England Female Medical College. The school had been operating since 1848 but had never had a black student before. Still, Rebecca was admitted and completed her training in 1864. She initially opened a practice in Boston, Massachusetts but when the Civil War ended in 1865, she decided to move to Richmond, Virginia, where she would help newly freed slaves find their footing during the Reconstruction. Alice Ball: (1892-1916) Chemist who developed a treatment for leprosy. After completing pharmacy school in just 2 years (at age 20), this Seattle native moved to the University of Hawaii to pursue a master’s in chemistry. 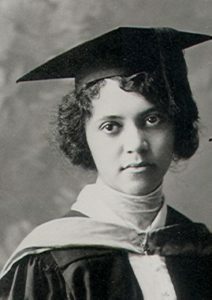 She succeeded, becoming the first woman and the first African American to earn a master’s at that university, which hired her afterward as a chemistry instructor. Ball’s research focused on chaulmoogra oil, a plant-based substance that Asian healers had used against leprosy for hundreds of years. She identified the active ingredient in the oil and a way to use isolate it as a medicine. However, her work was cut short, when she died (suddenly) at age 24. Her colleagues at University of Hawaii’s continued her research and brought the chaulmoogra-derived medicine to the clinic, but they did so without giving Ball credit for her work. 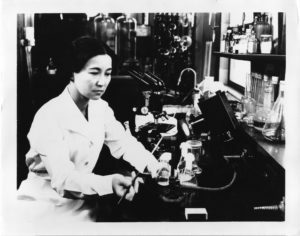 Ruby Hirose: (1904-1960) Biochemist who laid the groundwork for the polio vaccine. As the daughter of two Japanese immigrants, she grew up without much money and had to put herself through pharmacology school. She went on to earn her doctorate and continued researching the underlying chemistry of bloodclotting and antitoxins. in 1940 , the American Chemical Society recognized her as an established chemist and an example of the growing opportunities for women in chemistry. Two years later, the US government sent her family to a Japanese internment camp. Ruby, however, was allowed to continue her research in Cincinnati because it was far away from ports that might harbor Japanese spies. Jane Cooke Wright: (1919-2013) Medical doctor and chemotherapy pioneer. 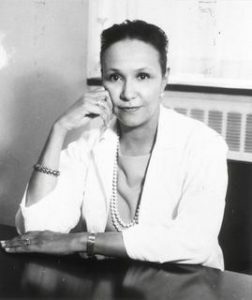 As the daughter of one of the first black men to graduate from Harvard Medical School, Jane Cooke Wright was always held to a high standard. In 1949, after completing her MD, Wright and her father began working together in some of the first clinical trials for chemotherapy drugs: he supervised the lab, while she worked with the patients. When her father died in 1952, she was tapped to head the entire program. She was 33 at the time. Her 40-year career saw chemotherapy grow from a highly experimental strategy to a core part of cancer medicine. Wright was among the first to start experimenting with combinations of chemo drugs and collecting data on how timing and dosage affected the drug combinations’ effects. By 1967, she had become Head of the Cancer Chemotherapy Department at New York Medical College, making her the highest ranking black physicians in the country. Among the drugs she researched, methotrexate was one of the most notable. She also developed training programs to educate doctors in chemotherapy and frequently collaborated with the next woman on this list. Jewel Plummer Cobb: (1924–2017) Cancer researcher who found that melanin protected against skin damage and advocate for diversity in STEM. When this Chicagoan approached NYU about a graduate fellowship to study biology, the school turned her down, but she managed to change their minds with an in person visit. Her graduate work on the structure of melanin was so strong that Woods Hole recruited her to be an independent investigator in 1949, before her dissertation was even finalized. Not long after that, she moved to Harlem Hospital where she met and began collaborating with the Wrights. In the 1950s and 1960s, her research largely focused on the relationships between melanin, UV light, skin damage, and cancer, but in the late 1960s, she switched gears toward becoming an academic administrator. She excelled at that, first becoming a dean at Connecticut College, then a dean at Rutgers University, and finally president of California State University, Fullerton. Throughout her career, she spoke out about the way scientific training programs “filter” out students from marginalized backgrounds. Lydia Phindile Makhubu: (1937-) Swazi chemist who studied the chemistry of herbs used by Swazi traditional healers. Born in Swaziland to schoolteacher parents (although her father frequently worked in clinics as well), Makhubu began learning about science at a young age. After undergrad in Lesotho, she completed her Phd in medicinal chemistry in Canada but returned to her home country to research herbal medicines. Her books The Traditional Healer (1978) and Witchcraft or Science (1982) challenged the notion that tribes’ traditional healing is superstition by demonstrating the chemistry behind them. In 1988, she became the vice-chancellor at University of Swaziland, and in 1993, she became president of the newly founded Organization for Women in Science for the Developing World. She remains an advocate for building science research infrastructure in developing countries. 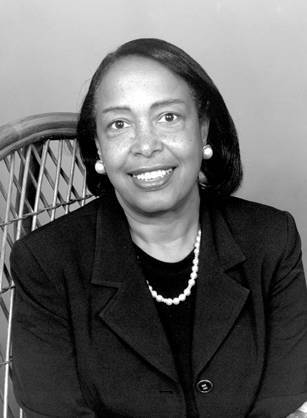 Patricia Bath: (1942-) Opthalmologist who used lasers to restore eyesight to the blind. Black inventors have been part of American science and technology since the beginning, but before 1988, zero black women had succesfully patented a medical device. That changed in 1988, when Patricia Bath patented a method for using lasers to remove cataracts. The NYC-born daughter of a Trinidadian subway driver and a housekeeper had always been interested in and excellent at science, and by the early 1980s, she was already well established as an eye surgery doctor. However, she wanted to do more. During her residency training in NYC, she had noticed that patients at Harlem Hospital were nearly twice as likely to go blind as patients at Columbia’s medical school. There had to be a way to make cataract surgery safer and more reliable. In the early 1980s, she began considering the possiblity of lasers, but most experts were dismissive of the idea. Undeterred, she visited laser technology centers in Berlin to learn more, and by 1986, she was designing the first prototype of her Laserphaco Probe. Bath continued to improve her laser cataract surgery throughout the 1980s and 1990s and eventually patented a similar technique that uses ultrasound rather than lasers to cut out the cataract. The ultrasound method has become one of the top cataract removal techniques used today. Lydia Villa-Komaroff: (1947-) Cell biologist who engineered bacteria to make insulin and a founder of SACNAS. During her undergrad, a teacher once told Villa-Komaroff: “Girls don’t belong in Chemistry.” So the young scientist changed her major to biology and got into MIT for grad school. There she learned how to splice genes from one organism into another as part of her work in David Baltimore’s lab. She completed her Phd in 1976, but soon after, her career hit a snag: Spurred by fears of “frankenstein” creatures, Cambridge, MA’s city council banned recombinant DNA experiments, forcing Villa-Komaroff to scrap her plans for Harvard postdoc. The lab she was working with moved to Cold Spring Harbor, where none of the experiments ever seemed to go right. Fortunately, Cambridge’s ban lasted less than a year, and the lab was able to return to Harvard in 1977. Six months later, Villa-Komaroff and her colleagues sucessfully spliced a mammalian insulin gene into a bacteria, proving that bacteria can build human proteins if given the right DNA. That finding opened up a whole new biotech subfield where researchers use microbes to build medicinal proteins. Villa-Komaroff is also an outspoken advocate for STEM diversity and during her MIT days was a founding member of The Society for the Advancement of Chicanos/Hispanics and Native Americans in Science (SACNAS), which has grown to be one of the largest STEM diversity organizations in the world. 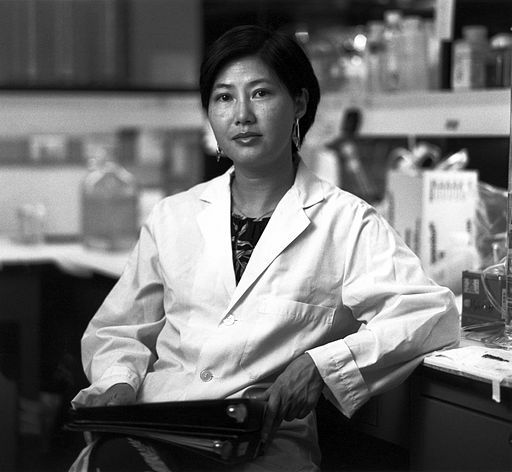 Flossie Wong-Staal: (1947–) Virologist and key member of the team that established HIV as the cause of AIDS. In 1981, CDC researchers noticed a mysterious immune-system-suppressing illness that seemed to mostly affect drug users and gay men. No one knew what was causing it. Some researchers suspected a viral pathogen, but others tried to dismiss it as a natural consquence of a drugged-up LGBTQ lifestyle. But in 1983, two teams independently isolated the same virus from two different AIDS patients. Within two years, the National Cancer Institute team was able to completely map the virus’s genome, largely due to the efforts of a young researcher named Flossie Wong-Staal. She had been born in China but her familyfled the communist regime to Hong Kong in the early 1950s. There, her teachers encouraged her to pursue science and to take on a more American-sounding name. Her father named her “Flossie” after a recent typhoon. Wong-Staal earner her Phd in molecular biology at UCLA, before joining the NCI lab where her HIV research would begin. Over the next three decades, Wong-Staal invented a huge number of molecular biology techniques that spurred HIV research (and biology, more broadly) forward. Women of color have been making major contributions to science for centuries but are frequently left out of the “Who’s-who”s of science, even the ones focused on women. Here are a few scientists who made a difference in medicine, who also happen to be minority women.